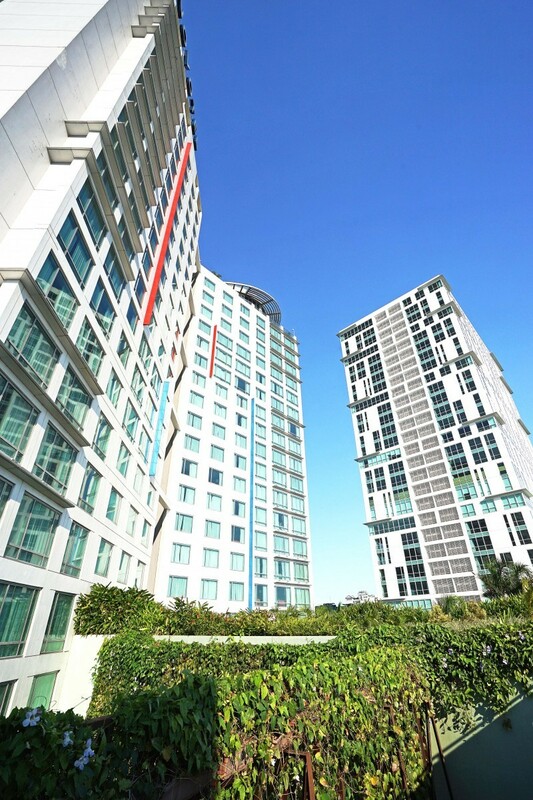 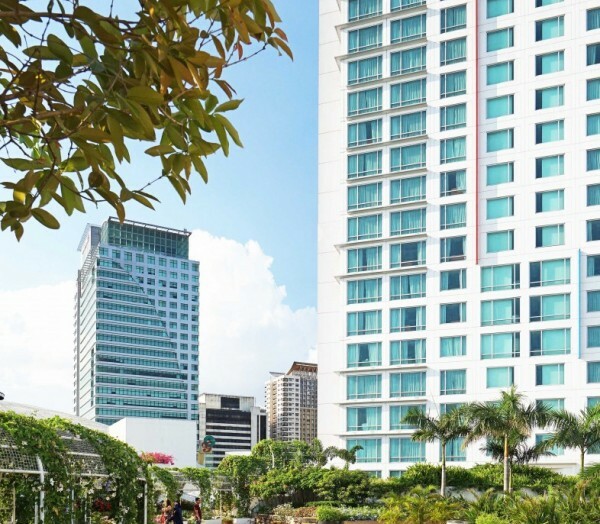 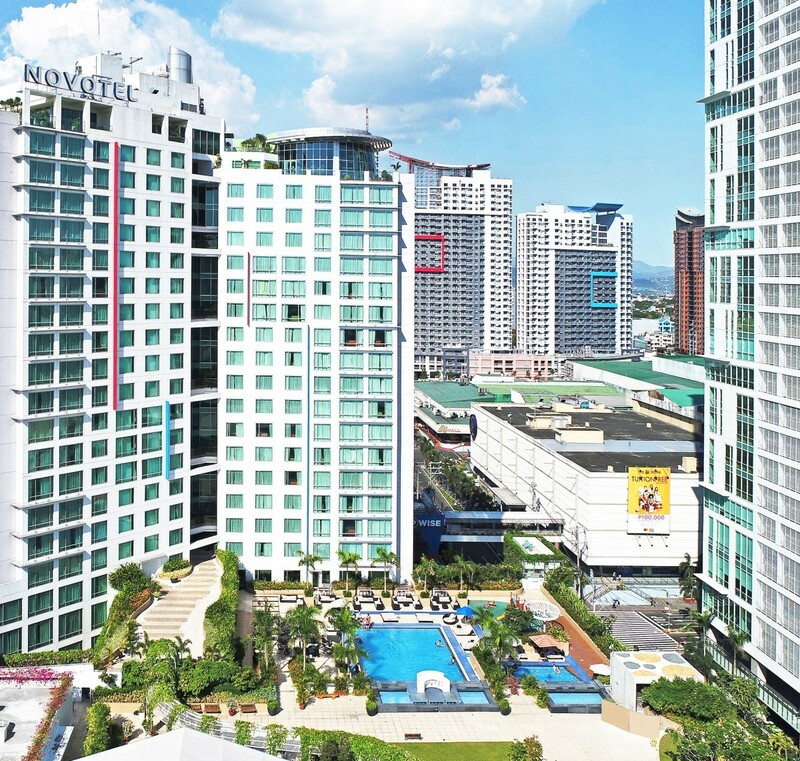 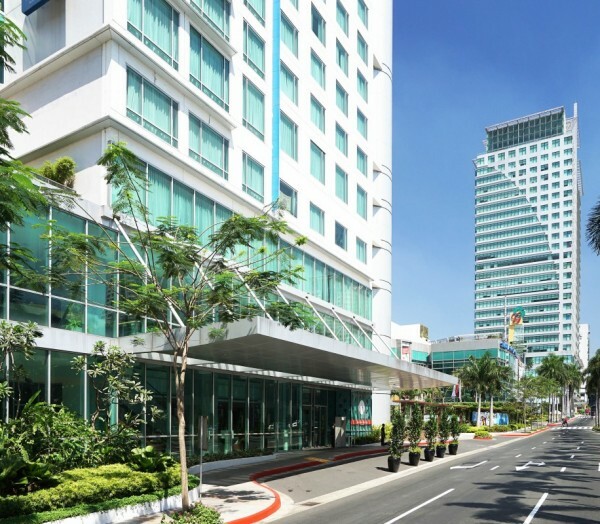 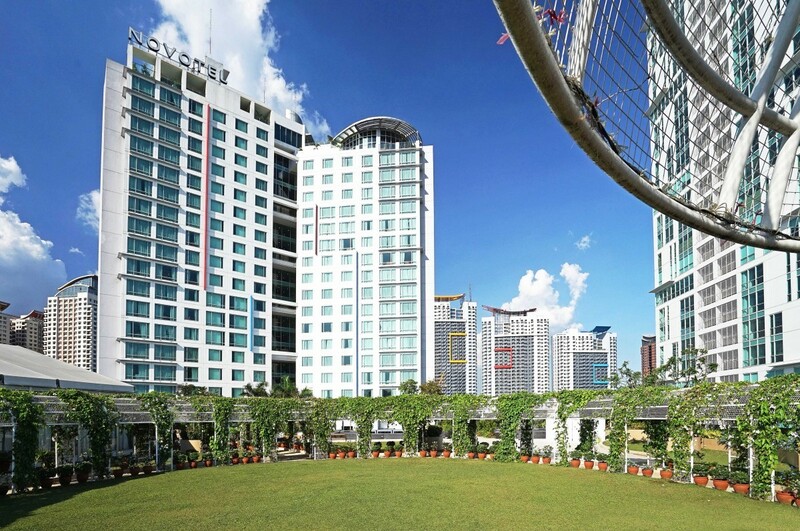 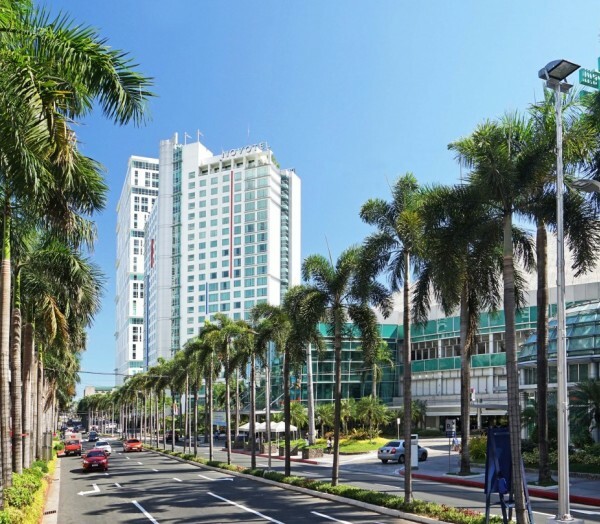 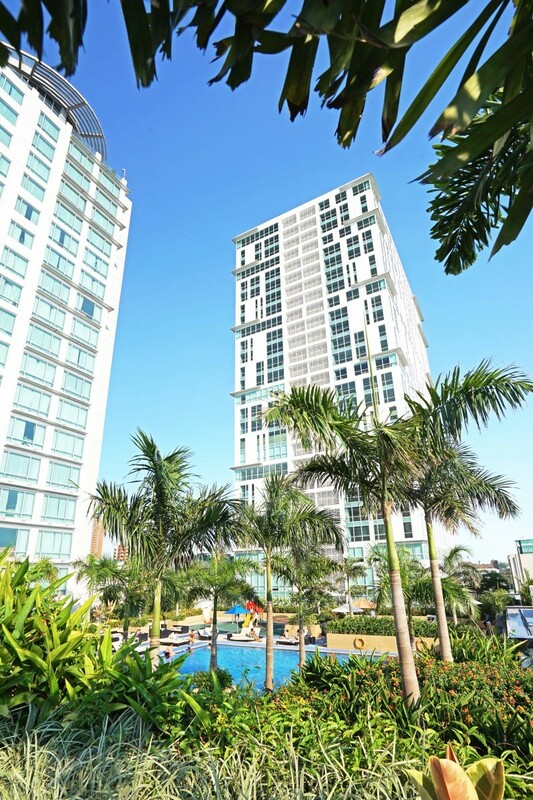 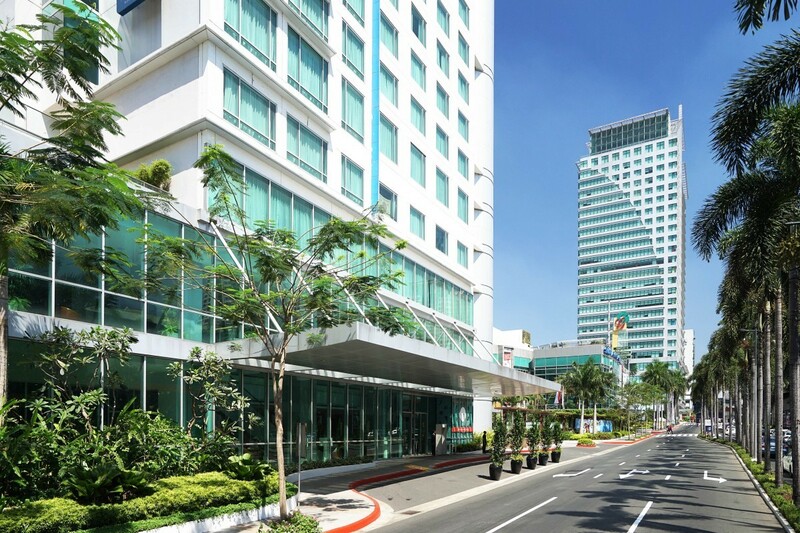 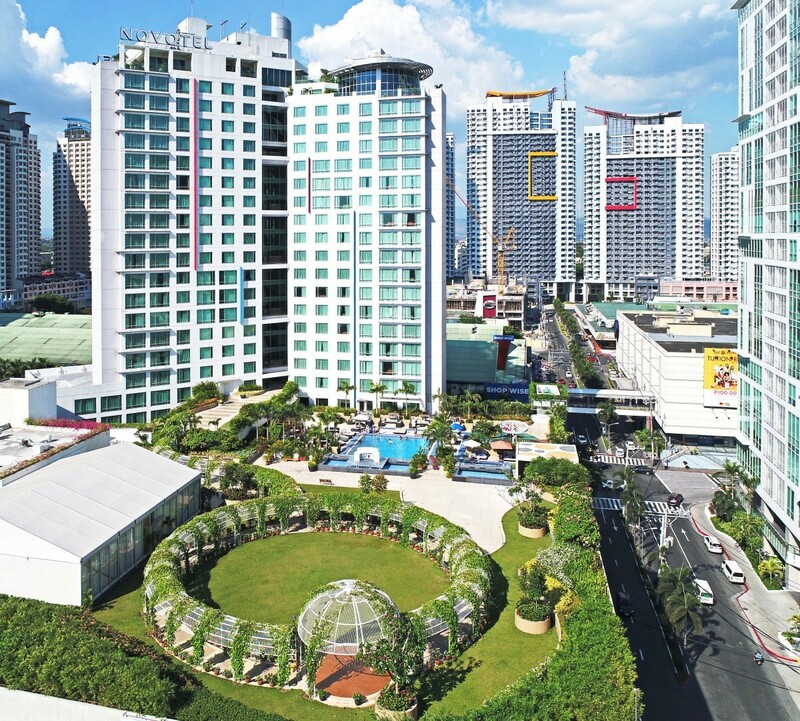 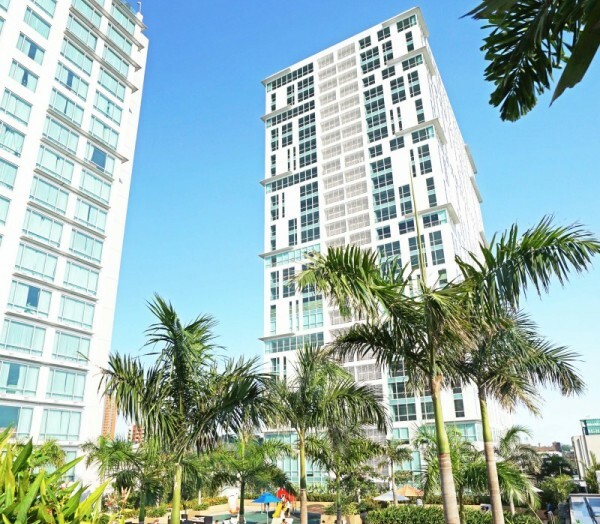 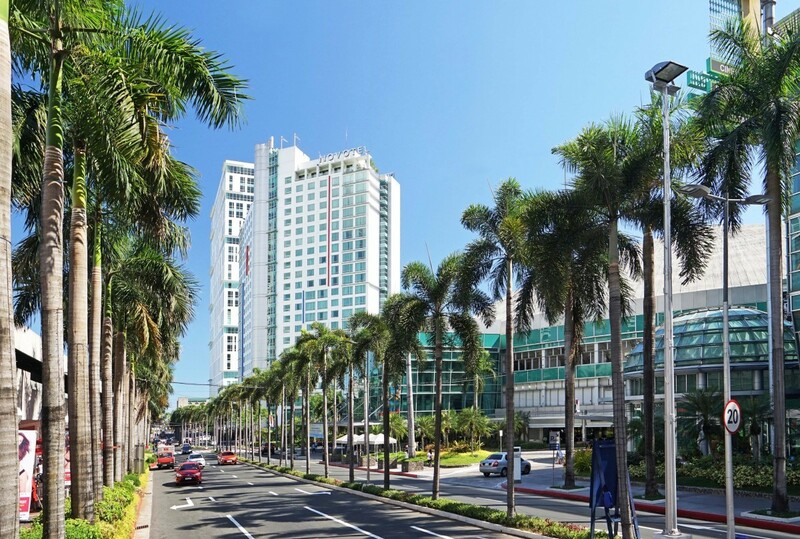 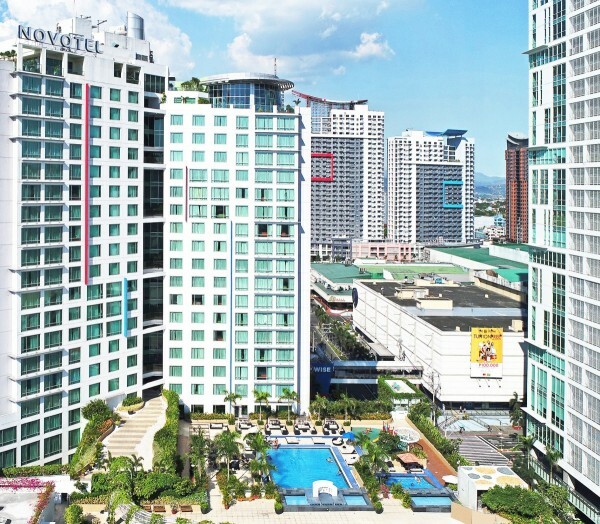 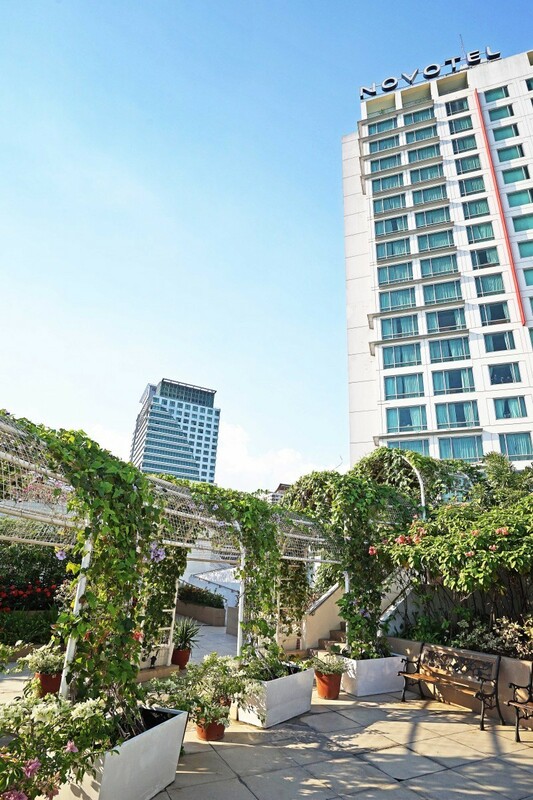 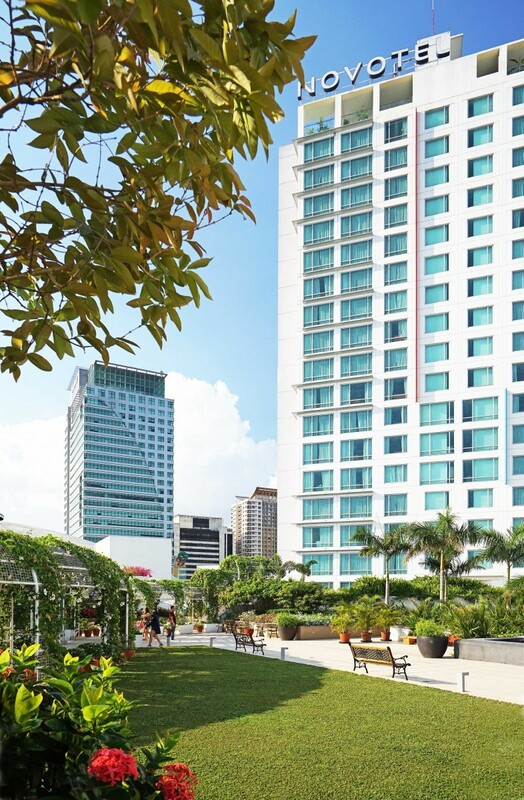 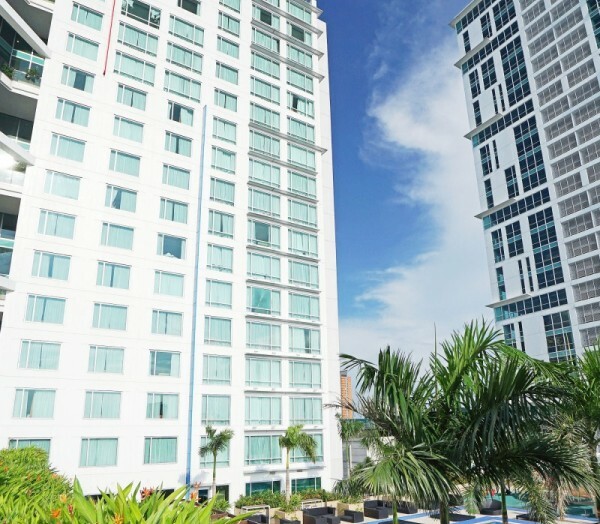 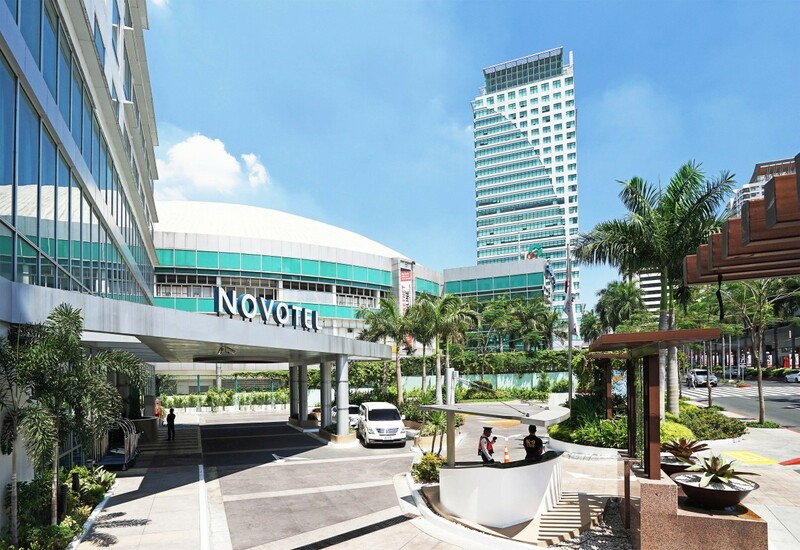 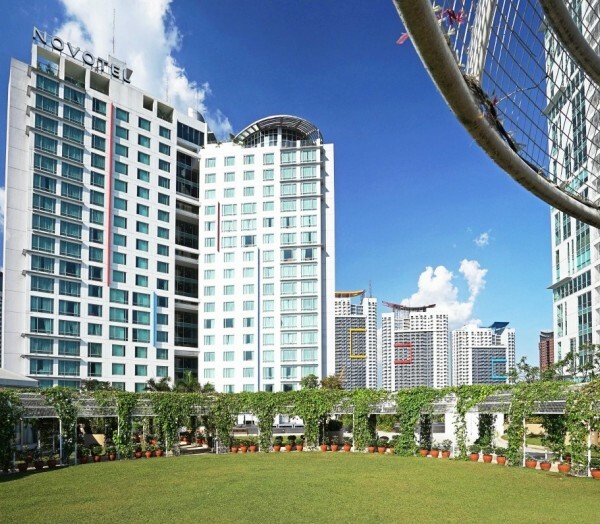 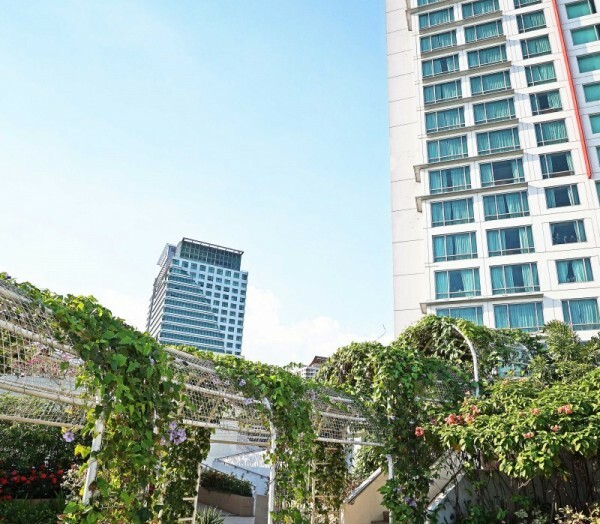 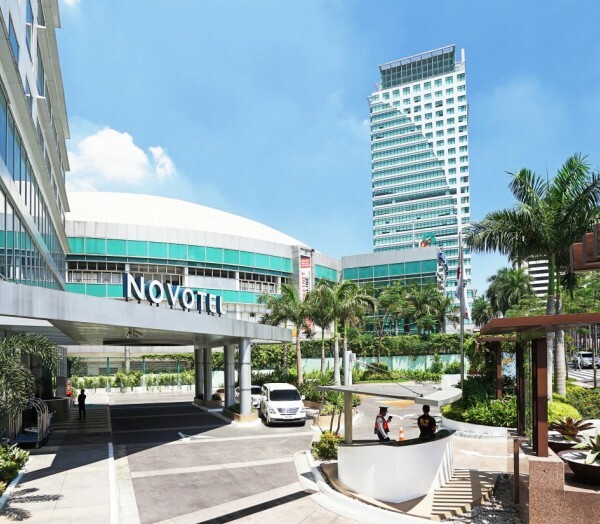 Novotel Araneta is a 41-storey 5-star hotel strategically located in Araneta Center, a 35-hectare commercial development in the district of Cubao. 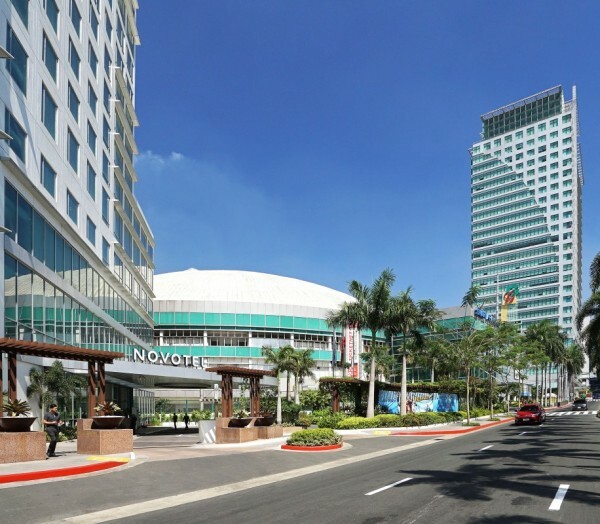 Among the nearby landmarks are the Araneta Coliseum, Cubao MRT and LRT Stations, Gateway Mall, and Kia Theatre. 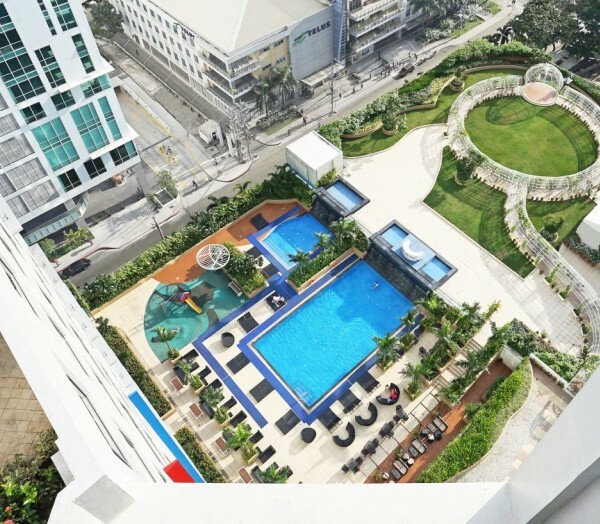 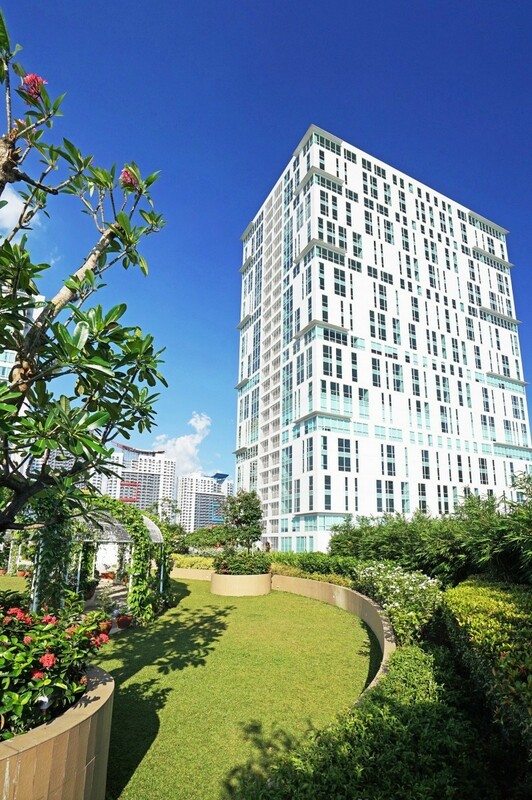 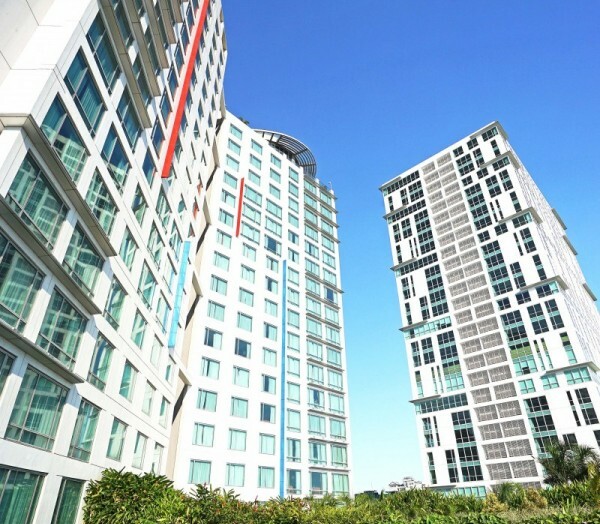 The project involved designing the ground floor drop-off area, roof gardens, pool area, and events garden. 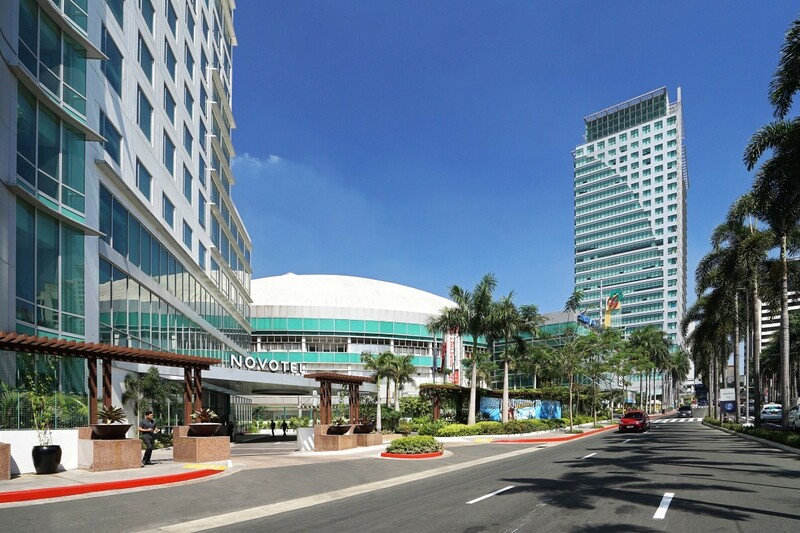 These open spaces were treated as extensions of the indoor amenities and meeting rooms. 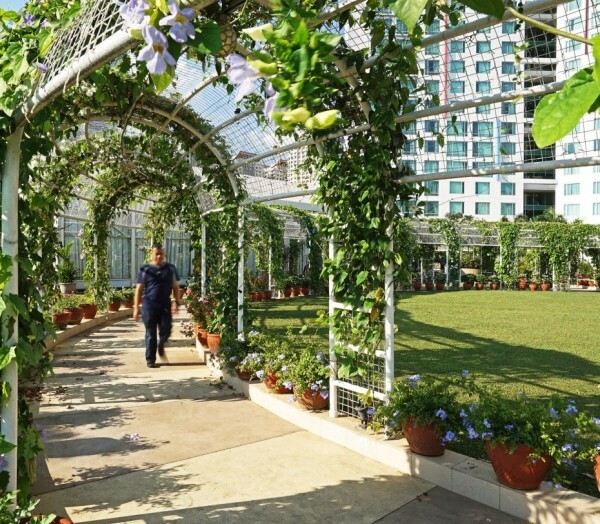 Further enhancements were made via spots of lush tropical planting to add to the welcoming ambiance of the place and screen off utilities from view. 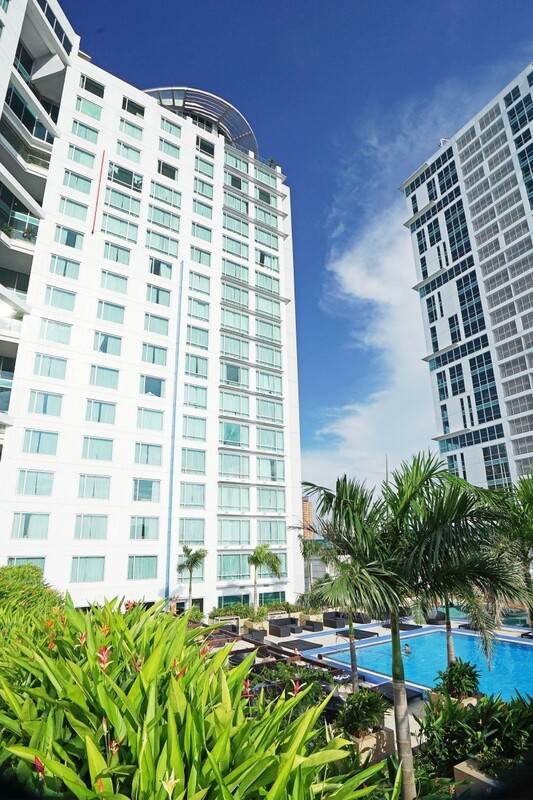 Key areas to note are the Pool Bar & Lounge and Versailles Events garden. 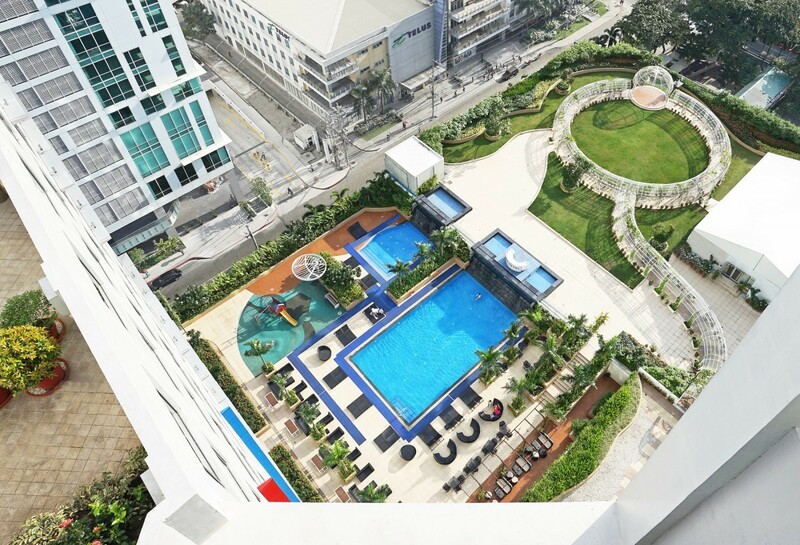 Despite the constricted area, space was thoughtfully planned out to accommodate the adult pool, kiddie pool, dry play area, and lounging space. 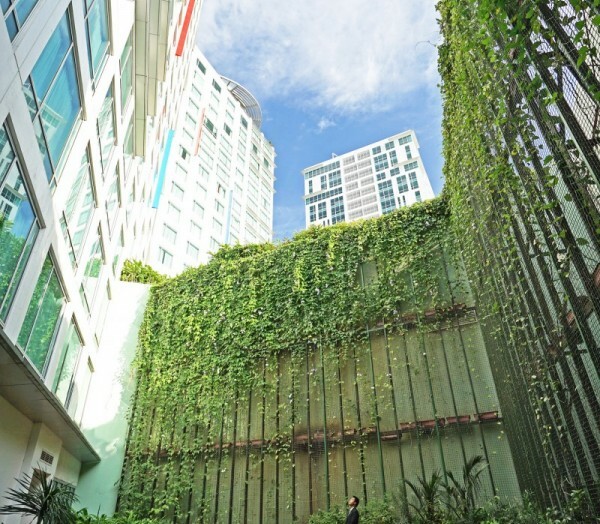 Stone water walls connecting to the pools and shrubs bordering the parapet wall create an oasis for those looking to lounge and relax in the water. 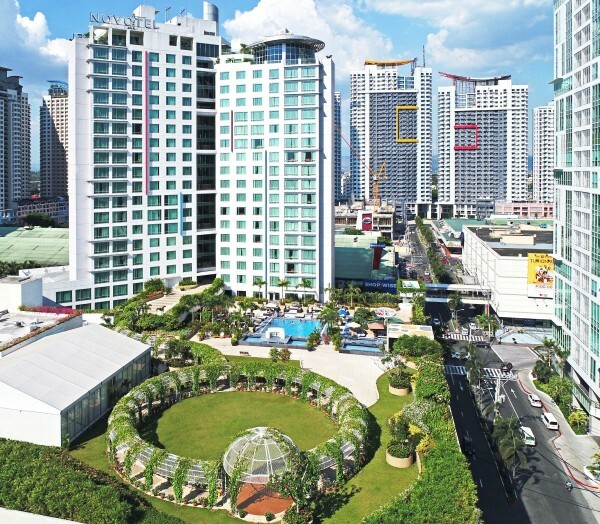 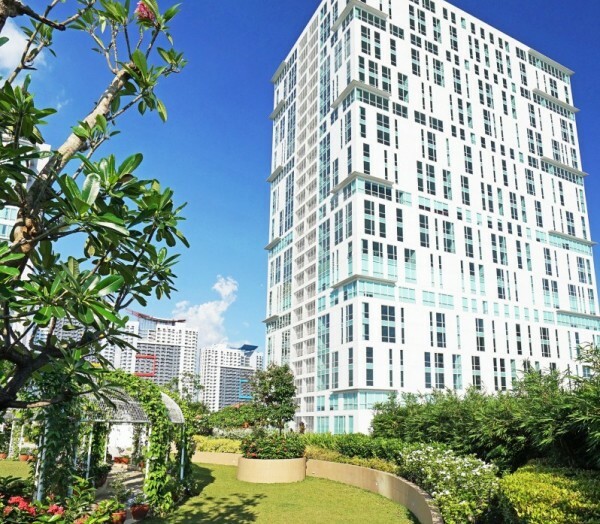 Meanwhile, Versailles Events Garden is a wide expansive open space devoted for outdoor celebrations and events. 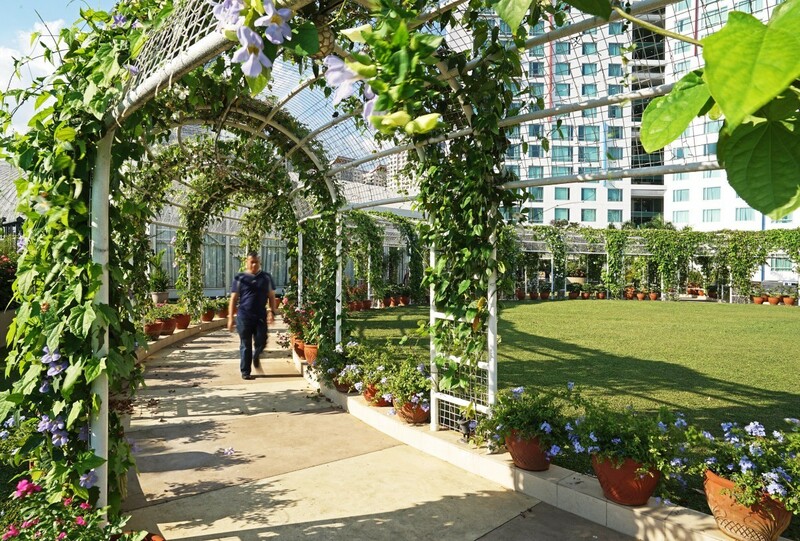 An important feature in the center is the circular tubular steel archway enveloped with greenery. 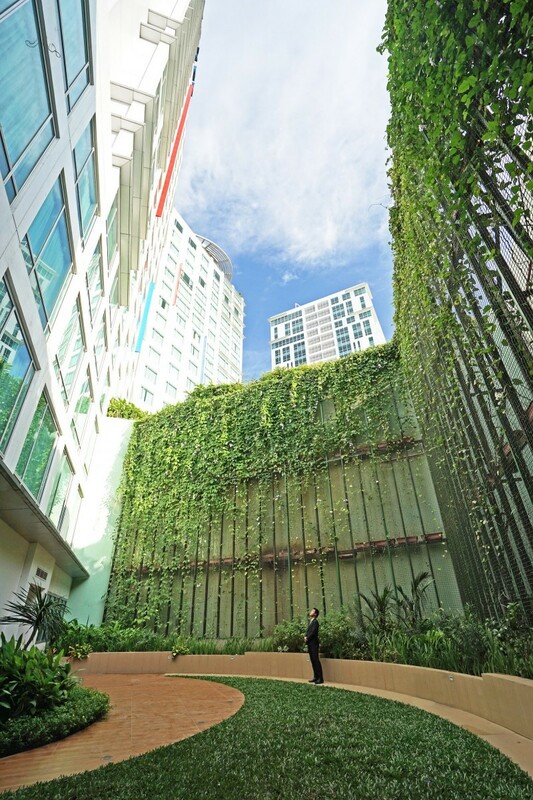 This provides a sense of enclosure and defines the event space without the heavy delineation of walls.